Monte Nerone together with Monte Catria and Petrano, form part of the Umbro-Marchigiana Apennine range and reaches a height of 1526 metres above sea level. It is surrounded by Apecchio, Cagli and Piobbico, all towns in the province of Pesaro and Urbino. Its beauty lies in its unspoilt nature and breathtaking views, enriched by stunning landscapes in all seasons. It is therefore considered for these reasons to be an authentic Marchigiana marvel to number among the special features of the region and Pesarese province. The history of monte Nerone seems to be extremely ancient. This mountain, deemed one of the highest of the Umbro-Marchigiano Apennines, has been admired by many peoples from the past, starting from the Picentes and subsequently the Etruschans. Even the Romans left their tracks in these lands followed by the medieval populations who left as testimony of their presence monasteries and convents, which can still be seen in the surrounding areas. Monte Nerone has always been and still is a source of study for geologists and palentologists owing to its morphology, calcareous origins and rock strata. During some of the explorations by experts, some natural findings have come to light such as fossils and animal skeletons belonging to extinct species of animals. 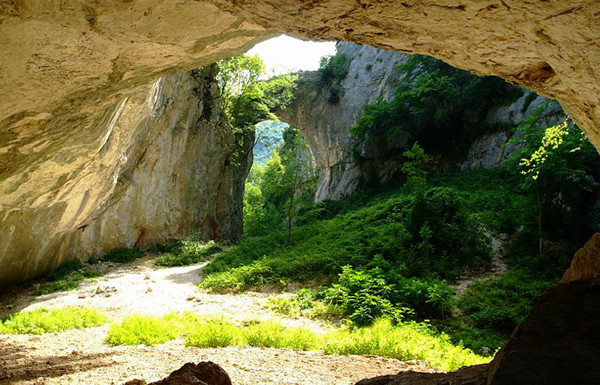 Due to its geological structure, several caves and natural arches of extraordinary beauty have been discovered, and these can be seen with the help of experienced guides. 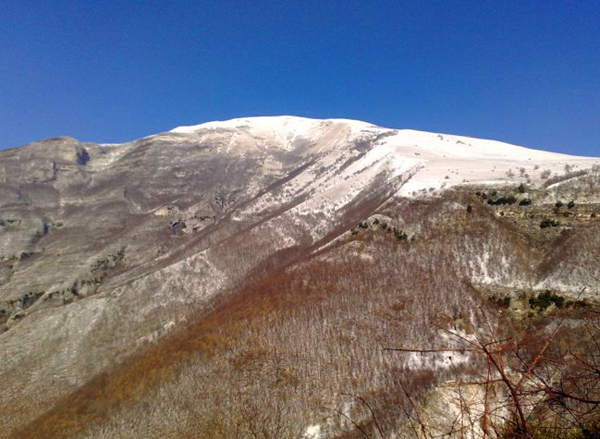 The eco system of Monte Nerone offers a rich variety of vegetation and a considerable number of animal species. In order to protect and preserve the environment a nature park has been set up which contains all the biodiversity of this mountain. Whoever comes to visit these mountain areas, will observe a variety of wildlife: primarily fallow deer, wild board, falcons and eagles. But the visitor might also hunt for mushrooms or truffles – Monte Nerone is an excellent supplier of these mycorrizhal products. This mountain is undoubtedly a great place also for those who love sport and winter sports. 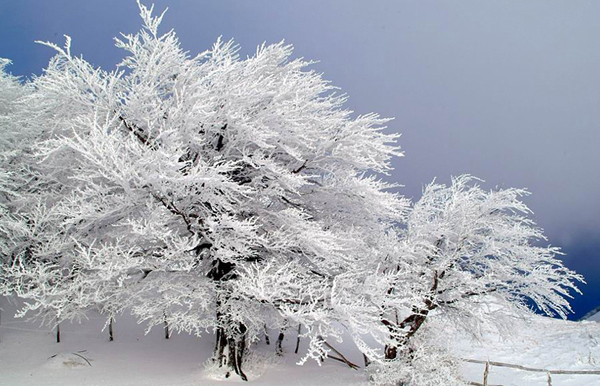 In winter it is possible to ski and people from the Pesarese and Umbrian provinces flock there to enjoy skiing. In summer there are many guided walks which will allow the visitor to discover the marvels of a place which has many stories to tell. For more information, you should visit the official Monte Nerone website.